Logitech adds £30 universal remote to Harmony range | What Hi-Fi? Set to retail for just £30, this is the cheapest Logitech Harmony remote in the family and means any system can justify a remote to control a number of devices. The 300i will replace four remote controls and uses Logitech's web-based set-up in order to fully programme the remote to control your devices. 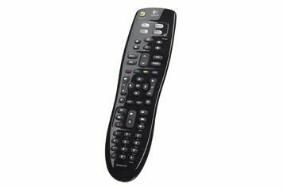 Logitech's remotes are powered by an online device library that claims to cover more brands than any other remote, offering more than 225,000 devices from more than 5,000 brands — not too shabby. The 300i joins a full range of Logitech remote controls, including the top-of-the-range tablet style Harmony 1100, the Harmony One and the Harmony 555. We'll also have a review of the new Logitech Harmony 700 in the May 2010 issue of What Hi-Fi? Sound and Vision, out on April 7th.